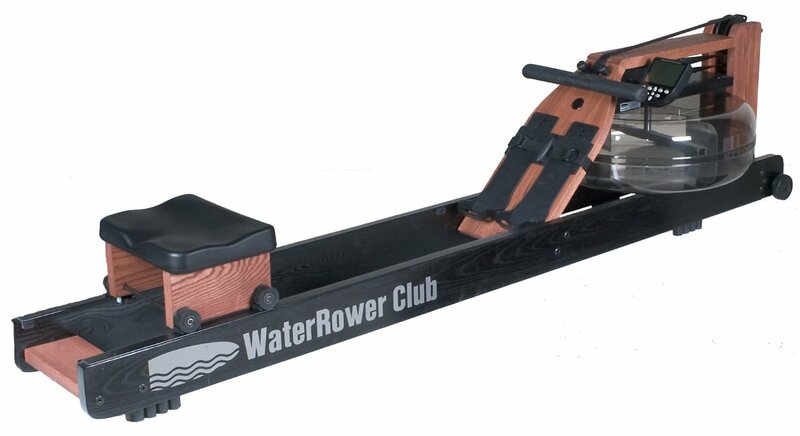 The WaterRower Club Rowing Machine is one of the company's most popular models, built with premium hardwood and stained black for a beautiful, striking look. Part of the Natural Series, it's a professional rower that fits perfectly into the home environment. The Club comes with the S4 Performance Monitor, which is a basic but functional computer showing you speed, calories, watts, intensity, stroke rate, distance, total strokes, duration and heart rate monitoring if you have a wireless chest strap. The WaterRower Club Rowing Machine has received great reviews since its introduction, and has remained one of the top selling models due to the fact that it is a gorgeous, commercial-grade rower at a very affordable price. 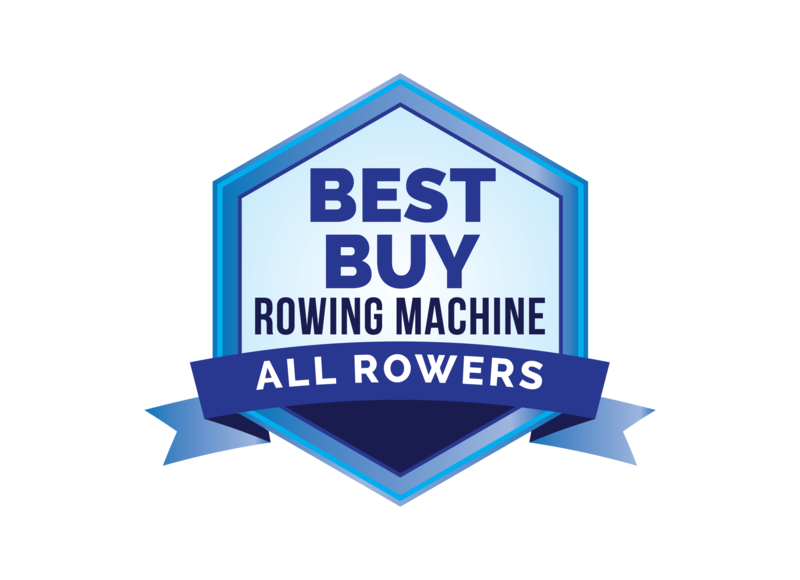 It's part of the company's Natural Series, along with the equally popular Natural Rowing Machine, and the two share some similarities and some differences. It's basically an aesthetic choice when deciding between the two. The Club is hand-crafted in solid Ash from the Appalachian region of the US. The company uses only sustainably sourced wood for all of their rowing machines. It is then stained in a beautiful black color and finished in rosewood, which makes it even more scuff resistant than the Natural model. In addition to be sustainable, the wood is selected due to its ability to absorb vibration and sound...as a result these are some of the quietest machines on the market. 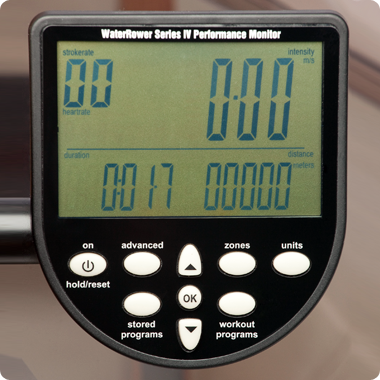 All of the WaterRower machines use, as you might have guessed, water flywheels, mimicking the feel of rowing outdoors. The motion is smooth and natural, and there is no need for a motor as the water tank and flywheel create the resistance for you. The harder you row, the more resistance there is, and vice versa. The pulleys and recoil belt are maintenance-free, so you don't have to worry about anything wearing out over the years. The WaterRower Club can also support up to 1000 pounds and is built for commercial environments, so this is one solid rowing machine. We love both of the Natural Series rowers, and either one is a great choice for your home environment. Both are currently offered for under $1200, which is quite a value for what you are getting. Even without the computer these machines would be worth that price. The Club is a little more durable than the Natural, as it is meant for rehab centers and other high traffic areas. But both of these rowers will last forever with little or no maintenance required. It comes down to the which look you like better...the natural wood look or the stained, dark look. Both are gorgeous. The Natural Series is also the most affordable line...you can certainly take a look at the Designer Series as well which is a little bit more expensive, but equally attractive.